The present business climate in Denmark is much more competative than it was just a few years ago. We are seeing a decline in orders, a decrease in the number of thatched roofs remaining, and very tough price competition. This is especially due to the persistant effect of thatchers from eastern European countries – some of them employed by Danish thatchers, some of them operating legally (or illegally) on their own. There are some 250 thatching firms in the country, employing about 350 – 400 in all. Less than 100 of the 250 firms are members of one of the two guilds. 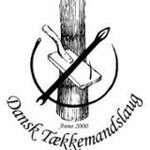 We still have two thatchers’ guilds, Jydsk Taekkemandslaug and Dansk Taekkemandslaug. Both of them have members throughout the country. Negotiations between the two guilds are in process, but the target of establishing one main federation of thatchers in Denmark is a long term goal. In autumn 2012 the two guilds agreed on setting up an office similar to the one in Holland, called Straatagets Kontor, “The Office of the Thatched Roof”. In January 2013 the office was a reality with Joergen Kaarup as director and daily leader. The aim of the office is to double the amount of thatched square meters in Denmark within 10 years by promoting the thatched roof. This is to be done by developing various areas of activity: In spring 2013 a cooperation with the University of Aarhus was established. The first project is to document the environmental advantages of the thatch. More will follow. Sharing by working to develop and prove the efficiency of fire protection by working toward reduction of the price for building insurances, as well as research and development of even more ecological “green” arguments for the thatched roof.